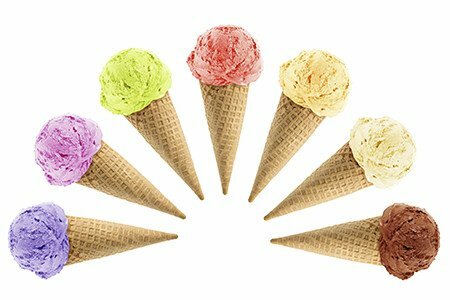 Ice cream is something that’s been known and loved for almost a hundred years, and been made by different cultures all over the world. With a variety of textures, flavors, and origins, you don’t ever have to settle for regular ice cream from the supermarket brand. Don’t just get the first thing that you find when it comes to ice cream. You deserve better. You’ve got to do better. In fact, if you’re feeling normal and adventurous at the same time, there are quite a few delicious solutions available to you. If you can’t stand the thought of naked ice cream, just out there, cold and alone, mochi’s got your back. Ice cream is vigilantly protected by a layer of flavored rice dough, and a little bit of starch to keep it from sticking to your fingers. Mochi is a perfectly-portioned snack that you can grab, go, and go back for more. Making mochi even better is the variety of flavors in which mochi comes. National brands have excellent selections, but local shops may have even more, and you can really get a great idea of what you’d like. A regional favorite in the Southern United States, Blue Bell Ice Cream is lauded as the creamiest, most flavorful ice cream in the region. With flavors that come from the proud residents of the Southern United States like pecan praline and butter crunch, and more exotic flavors like pistachio and natural vanilla bean, Blue Bell Ice Cream brings an unexpected twist on a southern ice cream tradition. Gelato is ice cream’s Italian cousin. Made and eaten in Italy, but also in the surrounding countries, Gelato has enjoyed a steadily increasing popularity over the last ten years. Gelato turns out to be just as delicious when produced commercially! The major producer of gelato that you can grab and munch from the grocery store is Talenti, a brand whose salted caramel has all other salted caramels beaten black and blue. Talenti has their standard flavors, like the chocolate, vanilla, and strawberry, but they have wonderfully flavorful sorbettos, like mango and raspberry. Their summer seasonal key lime pie and coconut flavors are heavenly additions to any dessert. Anyone living with lactose intolerance knows how frustrating it can be to have to give up cheese and ice cream. Lucky for anyone living with lactose intolerance, rice milk is delicious, and makes an excellent ice cream, and tasty ice cream treats. With Rice milk, you will not only not miss milk, you will wonder what you ever saw in it. Made with coconut milk, So Delicious chooses to market their products as ‘frozen desserts’ instead of ‘vegan ice creams,’ but vegans and those with dairy allergies or intolerance still got the message, and clamoured to patronize the delicious alternative to dairy. A huge variety of flavors, and also milk and yogurt products have made So Delicious a readily available source of creamy pleasure for people who would not otherwise be able to enjoy frozen desserts.